clockwise 1-16 starting from that point. The leaves, petioles and vine loops are numbered according to Rob Turner's system, which is illustrated above. 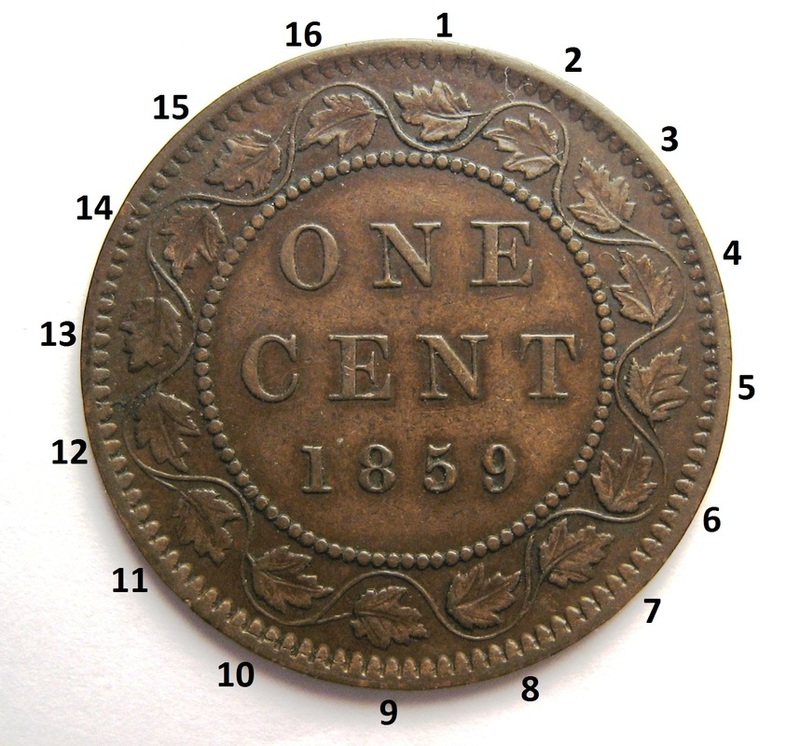 See Turner, Rob, The 1858 Cents of Provincial Canada, privately published, 2007.